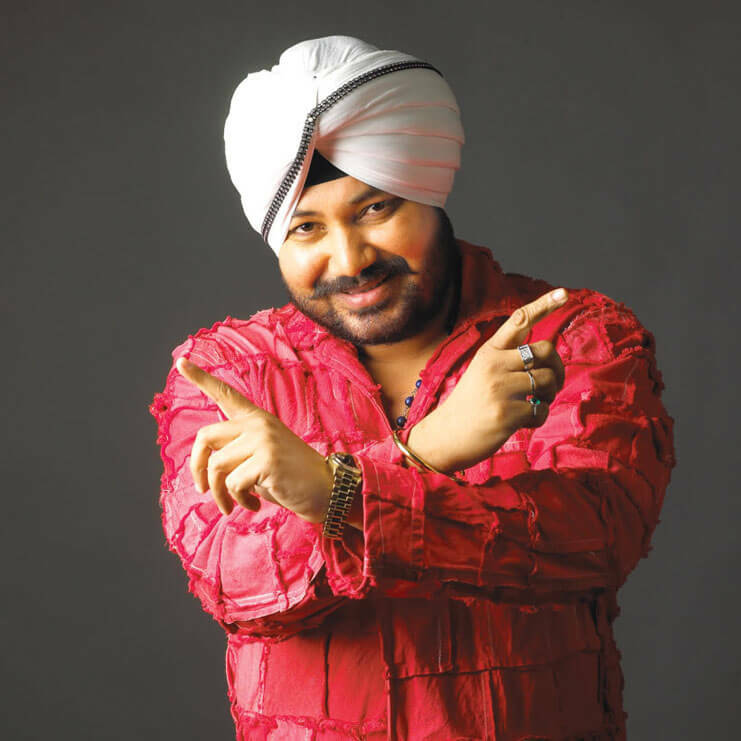 Daler Mehndi, an Indian pop icon is known for his energetic dance songs, distinctive voice, turban and long flowing robes. Born into a family of musicians, his early influences on music are his parents, who taught him the ragas and Shabads from the guru Granth Sahib Ji. At age 11 inspired by the Patiala gharana style of Indian classical music, he ran away from home in search of Raahat Ali Khan Sahib of Gorakhpur for lessons. His musical career took off after he signed a three album contract with Magnasound . Bolo Ta Ra Ra, Mehndi’s debut album, sold over 20 million copies. The album established Daler as a pop star with a staying power as his subsequent albums were also record breaking hits. Although known for making Bhangra popular worldwide, and setting up a parallel non-film music industry to the pre-Daler era’s then existent Bollywood music: he is also credited for creating a genre called “Rabbabi”, which is a combination of Thumri, Sufi and Rock and creating an instrument called “Swar Mandir” which is an instrument that combines influences from the Rabab, Swarmandal and Tanpura.